Yesterday's post 'Meditation music has gone mainstream' was uploaded with some trepidation. Because I feared it would either sink without trace or be ridiculed for the unpardonable sin of connecting the great Western classical music tradition with New Age nonsense. So it is very pleasing that the post has attracted a large readership and generated additional suggestions for meditation music. What is surprising and additionally pleasing is the diversity of music nominated, with Mark Meldon reporting that he finds Schoenberg's Five Pieces for Orchestra Op.16 and much Webern "strangely meditative". All of which supports my suggestion that a little less emphasis on entertainment and a little more on enlightenment would do classical music a power of good. 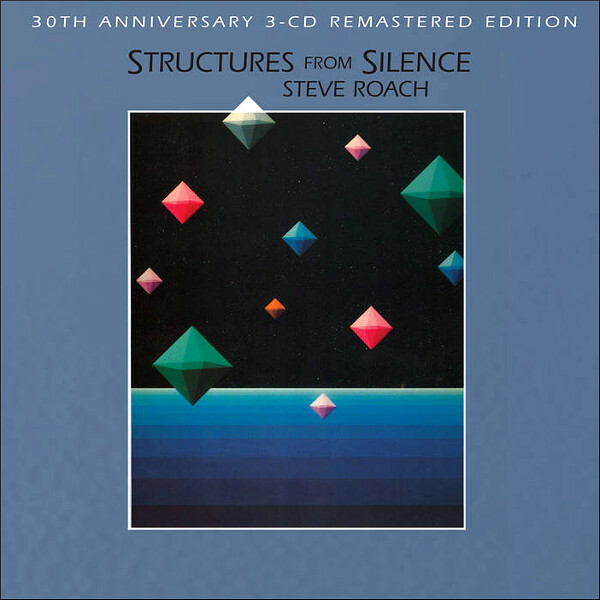 One of the works I nominated in the post was the little-known Steve Roach's Structures from Silence. Steve Roach's music occupies that tantalising laminar flow region between mainstream classical and ambient electronica. The 30th anniversary edition of Structures from Silence reprised a pithy note Steve penned for the original 1984 release. His note is now uncannily relevant in an age where streaming and mixtapes turn music into a silence-free string of sausages and the silence between symphonic movements is sacrificed to audience participation. It is puzzling how the digerati have placed John Cage on a pedestal but ignore his profound teachings about the importance of silence. For several months before actually committing the title track Structures from Silence to tape, I would live with the music throughout my daily activities. Often I would sleep and wake with the music playing (since it is stored in the computer memory, it can play indefinitely). This gave me the opportunity to fine tune the piece to a very sublime level. At the time I did not listen to any other music. I also spent much time in silence, a beautiful place. Feeling the music move through that space was vital in its development. For me the essence of this music is what is felt when it ends, a returning to the silence." Is this the reason why CDs on the BIS label typically have half a minute of silence after the last track?